Entitled Maledicto, the horror-thriller stars Tom Rodriguez and Jasmine Curtis-Smith, and a co-production between Cignal Entertainment and Unitel. The film, helmed by Mark Meily, is poised to give audience a good scare this summer as it is set to unspool in cinemas nationwide on May 1. “We were thinking of doing a romcom that was almost a sureball way of being a box-office hit. Look at the Top 10 box-office hits of the Philippines, it’s either rom-com or a Vice Ganda film, right? Even last year, Excess Baggage, Hows of Us, they’re all rom-com. 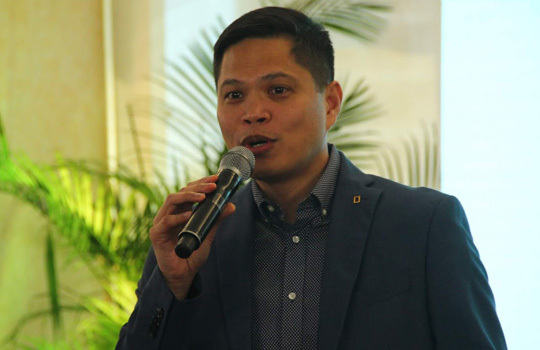 Even with horror, the best horror last year was The Nun, and it wasn’t a Filipino film,” Turcuato told Manila Standard in a roundtable interview with some select members of the press. “We definitely looked at all of it, but the genre didn’t dictate the choice. It was the quality of the script and how people will get entertained. Maledicto was chosen out of one hundred pitches. It was two years worth of pitches,” the executive added. In the film, Tom Rodriguez is Father Xavi, a former psychologist who becomes a skeptical exorcist following the tragic death of his sister, Mara (played by Inah de Belen). He meets Sister Barbie (played by Jasmine Curtis-Smith), a young nun who has the gift of charisma. Together, they face the case of Agnes (Miles Ocampo), a seemingly perfect teenager who starts manifesting demonic behavior that rocks the foundations of the church. “Maledicto is a really big feat for FNG, being the first ever film we’ve produced locally, with an all-Filipino cast at that,” Turcuato, shared his excitement for the upcoming film. According to the Fox PH head honcho, the lead stars were cast based on “their body of works.” For instance, when Turcuato saw Jasmine in Transit, a 2013 indie drama, he thought she would be the perfect person to portray the role of a young nun. 'Maledicto' is top-billed by Jasmine Curtis-Smith playing a clairvoyant nun and Tom Rodriguez as a skeptic priest. “When I saw Jasmine in Transit, I thought, perfect, this is the person to do it. Miles was actually a revelation because she doesn’t have a film that’s similar to her character, this is totally different, but we’re all shocked at how she’s able to transform herself. Even the supporting cast is topnotch,” he said. Meanwhile, Tom was chosen by Unitel to play the lead role. “I mean, I’m not saying, we’re going to revolutionize the industry or anything like that, but we do want to bring a lot of Hollywood into the Philippines as far as the quality of storytelling,” he said. The lead actors have also expressed enthusiasm on being part of FOX’s first film, saying it was an opportunity to play roles that stray from the norm of romance and loveteams. They have happily accepted the challenge, and are excited to bring the characters to life. For more information follow @maledictomovie on Facebook and Instagram or visit the website : http://maledictomovie.com/ for more updates. Media giant GMA Network gained recognitions anew from the University of the Philippines Los Baños (UPLB) students at the Gandingan 2019: The 13th UPLB Isko’t Iska’s Multi-media Awards. 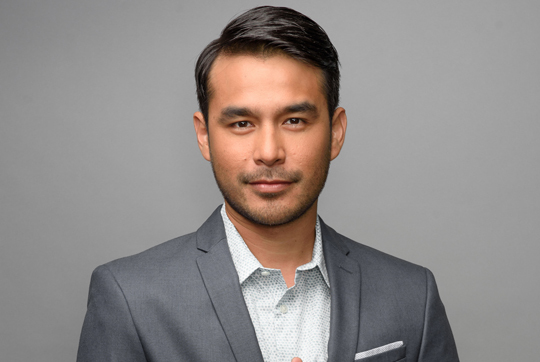 In the awarding ceremonies held last March 16, broadcast journalist Atom Araullo was hailed as the Gandingan ng Kabataan for his documentary program The Atom Araullo Specials while Dr. Nielsen Donato and Dr. Ferds Recio were once again awarded the Gandingan ng Kalikasan for their travel and wildlife show Born to be Wild. Several GMA News and Public Affairs programs were also recognized. AHA! won Most Development-Oriented Children’s Program (‘Animation Originals’ episode); Reporter’s Notebook as Most Development-Oriented Investigative Program (‘Batas ng Karagatan’ episode); and Walang Unli Rice: A GMA News and Public Affairs Special took home the Most Development-Oriented Documentary award. Shows from GMA Entertainment Group also bagged the Most Gender Transformative Program for the drama series Asawa Ko Karibal Ko and Most Development-Oriented Drama Program for My Special Tatay. The Clash received a Special Citation for Most Development-Oriented Musical Program. Moreover, GMA News Pillar Jessica Soho was again conferred the Best News Anchor award for State of the Nation with Jessica Soho. I Juander, on the other hand, won as the Most Development-Oriented Magazine Program. Both programs air on leading local news channel GMA News TV. GMA Regional TV’s local newscast One Western Visayas bagged the Most Development-Oriented News Story for GMA Regional TV Presents: Modern Day Heroes and Most Development-Oriented Feature Story for Bigyan ng Halaga. For the second consecutive year, Lou-Anne Mae Rondina of Balitang Bisdak was named Best Field Reporter. In the radio category, on the other hand, UPLB gave the Gandingan ng Agham at Teknolohiya award to Mang Tani Cruz for IM Ready sa Dobol B, which respectively won Most Development-Oriented Science and Technology Program, that airs on GMA’s flagship AM station Super Radyo DZBB. Dobol A sa Dobol B host Ali Sotto was recognized as Best AM Radio Program Host. Flagship FM station Barangay LS 97.1’s Barangay Love Stories won Most Development-Oriented FM Program while its host Papa Dudut was also hailed as Best FM Radio Program Host.